It’s been a long week and I’m returning to my true love………….Dark Chocolate! I am treating myself to Awesome Goodness by Loving Myself, literally! I’m giving a dose of healthy hearts of Dark Chocolate with Raw Almonds and Dried Cranberries and some hearts without nuts to myself. 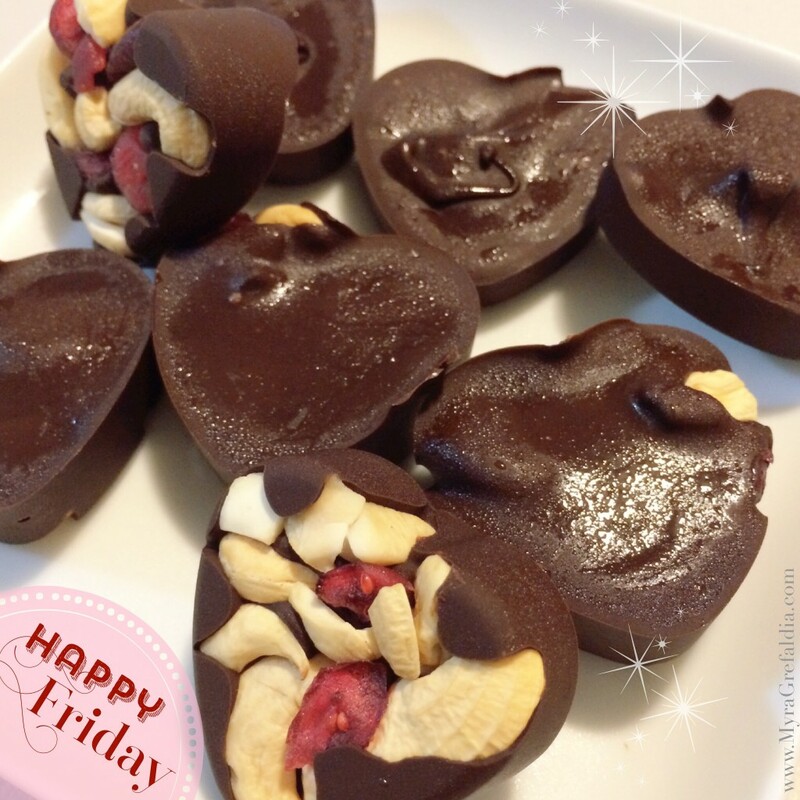 I used my mini heart shaped silicone mold by Wiltons which is for baking, however, in this instance I am using it to make my chocolate hearts. Spoon in the melted chocolate into molds and tap the baking sheet on a hard surface to remove air pockets and let the chocolate reach between your filling. Freeze till set and Enjoy!! Thanks for stopping by. I look forward to seeing you here again. I just want to say I am just very new to blogs and definitely loved you’re blog site. Likely I’m likely to bookmark your website . You actually come with tremendous article content. Thank you for sharing with us your web site.